Brett Berger is an experienced trial lawyer who represents individuals injured as a result of the negligence of others. 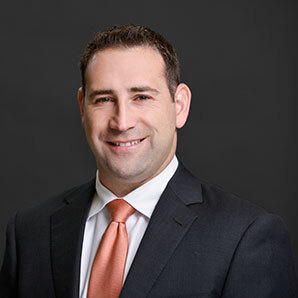 Brett focuses his practice in the areas of automobile negligence, medical malpractice, nursing home negligence, assisted living facility negligence, trip/slip and falls, negligent security, and acts as personal counsel to those accused of negligence when their insurance carriers refuse to take the insured’s best interests into account. Through his relentless efforts and hard work, Brett has obtained multiple million dollar settlements for his clients. After spending a large portion of his legal career defending insurance carriers and their insureds, Mr. Berger brings extensive insight into the tactics insurance carriers will employ to avoid compensating those who are injured, and thus understands how to best influence insurance carriers to pay the proper value of claims on behalf of his clients. Mr. Berger spent the first 3 years of his legal career as an Assistant Public Defender for the Sixth Judicial Circuit in Pinellas County, Florida. During that time, he gained substantial trial experience and defended a wide array of cases including misdemeanor, juvenile, and felony criminal charges. Mr. Berger thereafter expanded his practice from criminal defense to the civil forum where he defended insurance carriers and their insureds in claims of automobile negligence, premises liability, negligent security, and professional malpractice. Working as an “insider” for the insurance carriers has provided Brett with significant knowledge as to how insurance companies defend and value claims. This knowledge and perspective enables Mr. Berger to maximize client recovery at Maney|Gordon. Rated AV Pre-eminent by Martindale Hubbell, the highest rating an attorney can obtain in the areas of legal ability and ethical standards. Maney | Gordon | Zeller is a national law firm headquartered in Tampa, Florida with offices throughout the United States.